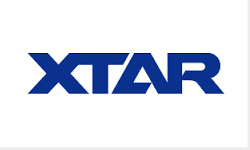 XTAR SV2 ROCKET 1-2 Cell Intelligent LiIon battery fast charger with two independent channels and real time LCD display. Charge 10440, 14500, 14650, 16340, 17335, 17500, 17670, 18350, 18490, 18500, 18650, 18700, 22650, 25500, 26650, 32650 size 3.6V/3.7V LiIon batteries. Charge AAAA, AAA, AA, A, SC, C, D size NiMH batteries. Input via included 100-240VAC to 12VDC Australian approved AC adaptor or 12VDC car adaptor. Independent channels with real time high definition LCD display for each channel shows charging current, battery voltage and capacity. 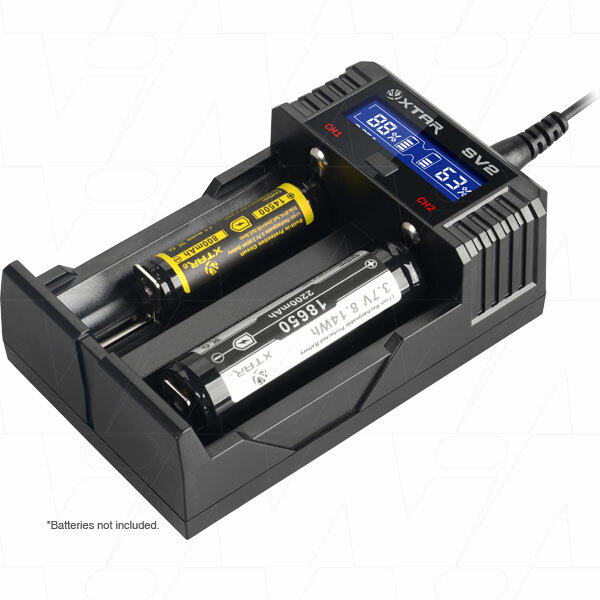 Intelligently recognise / display / charge NiMH and LiIon batteries at the same time. Three-phase charging (TC-CC-CV) for LiIon. 0.25A, 0.5A or 1.0A for battery life maximisation. Overheat protection as well as effective heat dissipation design and fire resistant case.